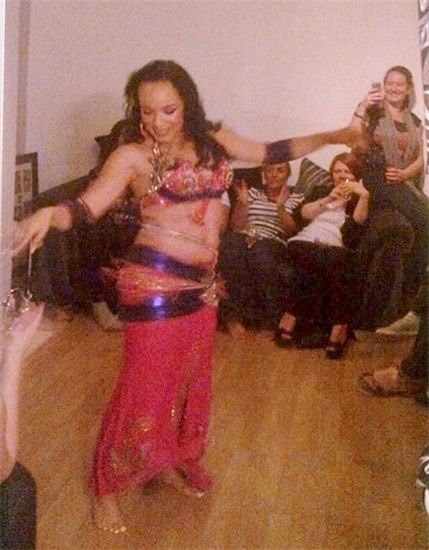 Booking a fun belly dancing lesson is a great way to add something different and fun to a hen party or any other kind of celebration where Women are all together. If you are based in or staying around Liverpool Chester and North Wales why not organise a fun lesson for your hen guests. The lesson can be held in a large space big enough to move around in safely in hired accommodation or a studio / church hall or function room you have organised in advance. A 50 - 90 minute fun and entertaining belly dance lesson that can include a mini performance and hen participation or aafun and easybto follow choreography to any song if your choice. Facejewelsfo all to wear. Coin hip scarves and props provided for all to wear and return with a special hen hip scarves given to the hen as a gift along with a helium filled celebration balloon. *If you would like to purchase coin hip scarves for all to keep they cost from £5 and should be ordered in advance. Alternative booking for those who want to learn some lovely moves and chill out afterwards. This includes a lesson and a performance, Mint tea and baklava and treatments such as mini manicure / pedicure, Mini facial / mini back massage. Or have a make up art lesson. *Tara is a professional insured beauty therapist and makeup artist who works with a small team. * If you would like to tailor your lesson please get in touch. This type of booking is great for any type of Women's event. Please email me with your preferences date and time. You will be sent and expected to fill out sign and send an agreement back to me. A booking deposit of £25 may be required if out if the immediate Liverpool / Wirral areas. Additional travel fee may be added if out of the immediate area. 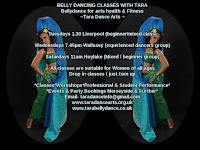 Learn how to walk like an Egyptian, Wiggle like an Arabian goddess, Shake your hips like Shakira, Boogie with some Bollywood fusion or do the Turkish delight with Tara. There are several packages to choose from. If you are looking to have your hen party in Liverpool City centre, Wirral or Chester city centre I can organise a venue, Bar or dance studio. If not you can organise your own venue or have the party at your own home if you have the space. I am an independent dancer\ teacher with over ten years of experience. I am able to keep the prices fair because there isn't a middle man or agent fee. Have your party any day of the week. Bookings are subject to availability. £25 booking deposit (payable in cash, by cheque postal order or online\paypal) There maybe a small travel charge if out of the Wirral\Liverpool areas. 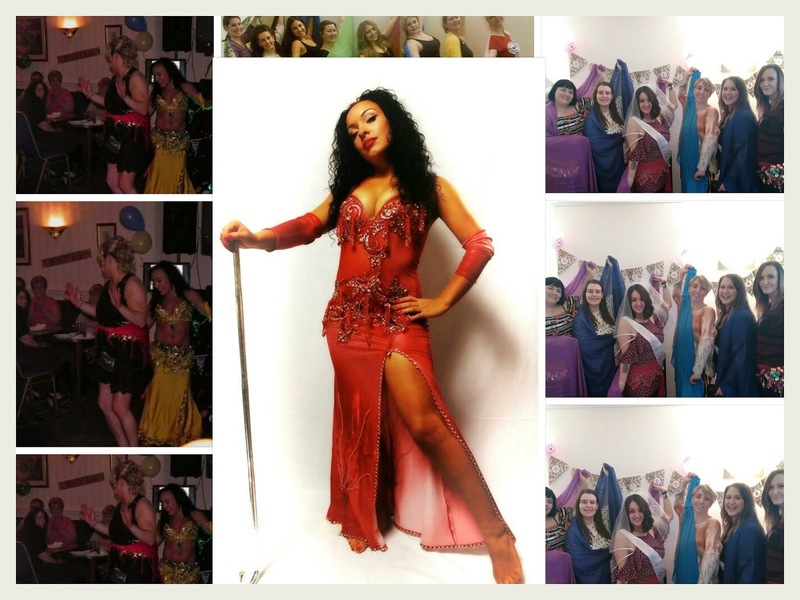 Includes fun Tuition, An easy to follow Dance routine, Bindi's \ Face jewels, Use of jingly coin hip belts, Accessories and props. A gift bag for the hen \host \ guest of honor containing a greeting card and a gift. 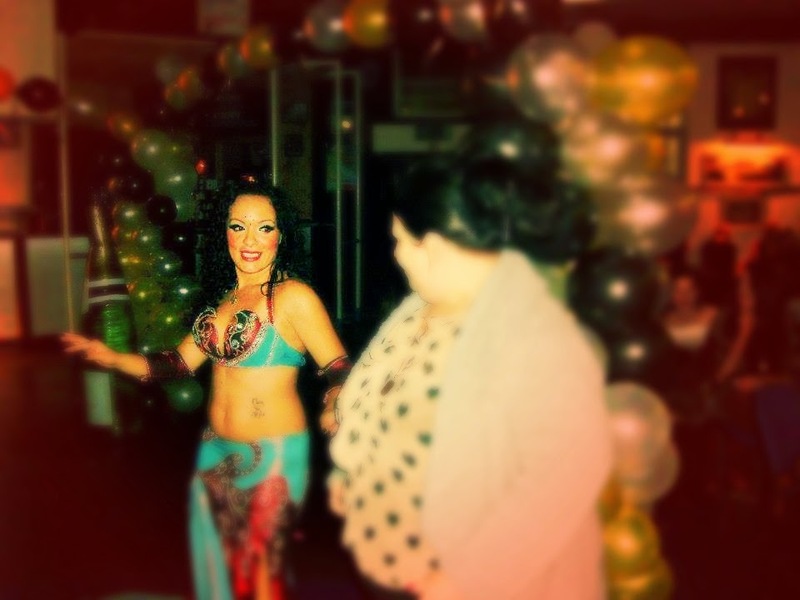 Includes a professional performance and participation with props, Fun belly dance Tuition, An easy to follow Dance routine, Bindis (face jewels), Use of Jingly coin hip belts, Accessories and props, A gift bag for the hen \host \ guest of honor containing a greeting card and a gift. What to bring \ Wear - Comfortable clothing suitable to dance in like yoga\leggings\ exersise pants or a jypsy skirt with a comfortable fitted T-shirt or top, or a crop top. If you have comfortable belly dance type clothing suitable for practice that is sparkly feel free to dress up. Don't forget to bring your phone, Camera,Video....get some happy photo's & videos to make the party a day\night you will remember.